Mold removal after any water damage emergency can be one of the most hazardous tasks. It may seem relatively simply to get rid of the spores on your own, but it can also be incredibly dangerous. Living with mold on the property can lead to difficult symptoms such as asthma, allergies or bad headaches. That’s why it’s important to call the professionals on to the scene. 911 Restoration of Westchester understands the urgency of the situation, and works diligently to provide around-the-clock service. The techs respond to all calls within 45 minutes, so you will never be kept waiting for a mold inspection. For decontamination services you can trust, call 911 Restoration of Westchester today. There are many causes of mold within the property in Yonkers. Freezing temperatures can cause burst pipes, which can lead to flooding on the property. That excess water can easily cause the spores to pop up in unexpected areas. It may seem simple enough to take care of the extraction on your own, but the staff urges you to leave it to the professionals. The techs are trained with years of experience, so they can take care of it as swiftly as possible. A free visual mold inspection for property owners only is also offered, so there will be nothing holding you back. In addition to providing mold cleanup services around the clock, the techs also work with you to figure out the best plan possible for you. The staff works with all insurance companies, and provides a free insurance consultation to property owners only. Time is of the essence when it comes to mold removal in the New Rochelle area. Don’t delay, as the spores can continue to increase and grow in hidden places. The mold inspection techs are able to find these damp spaces with the most up-to-date technology, and clean them out in no time. Call 911 Restoration of Westchester for the best mold remediation services today. The techs will get your property clean and provide you with a Fresh Start in no time at all. When dealing with a mold extraction on the property, you need a staff that truly understands your needs. The decontamination of the property is best left to the professionals in this case. That’s where 911 Restoration of Westchester comes in. The technicians have years of experience in the industry, so you can trust them to provide the most comprehensive mold cleanup possible. 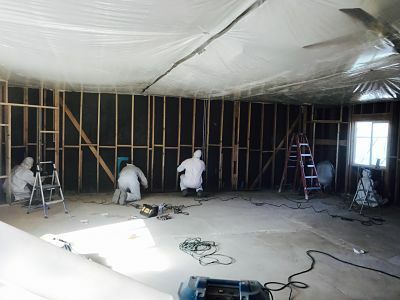 In addition to using infrared technology to find any hidden moisture remaining on the property, the techs go above and beyond to ensure that you remain comfortable during the entire mold removal process. They want to ensure that your emotional needs are also being taken care of during the extraction. Not only will your property receive a Fresh Start, but the techs have such an optimistic attitude during the cleanup, that you will feel as though you received one as well. The technicians are licensed and bonded with years of experience, so you can rest assured knowing that your mold inspection is being conducted by the best hands possible. As soon as the techs arrive to conduct the remediation, they will do everything possible to put you at ease during this difficult time. Water remediation and flood cleanup doesn’t end with simply removing the water from the property, and the techs understand that. They know that any moisture left on the property can cause fungus to simply multiply, so they want to put a stop to that as soon as possible. Not only does the staff have years of experience, but they take care of your needs as well. The techs work with all insurance companies, and work with you to find the best plan possible for your mold cleanup. 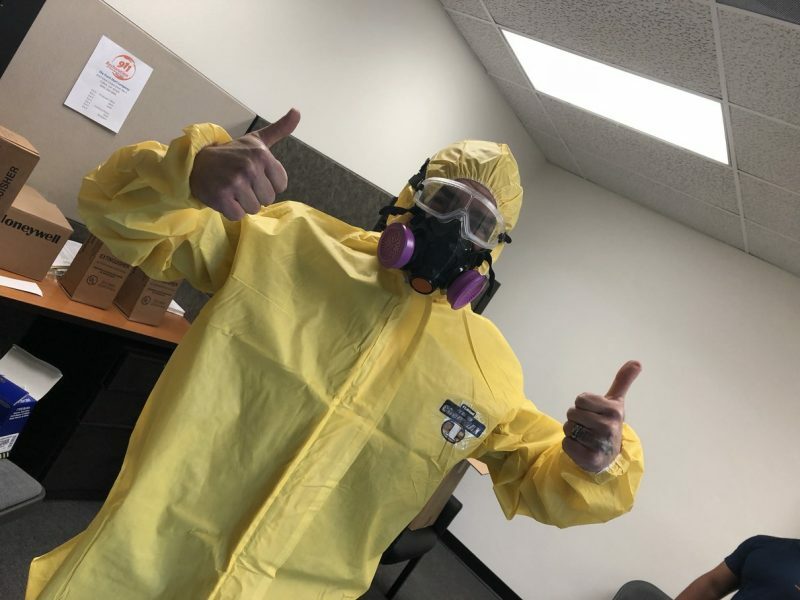 They understand the concern that comes with questioning whether your insurance company covers a mold extraction on the property, and they want to alleviate that as soon as possible. The techs are incredibly thorough and ensure that every inch of the property is clean and dry. The staff conducts both commercial and residential mold removals, so there is no need to worry whether the services are covered. For a mold extraction staff that truly understands your needs, look no further than 911 Restoration of Westchester. The trained technicians in the Yonkers area will work diligently to ensure that your property receives a Fresh Start. Structural drying and dehumidifying services are also provided to receive the most comprehensive cleanup possible. Call 911 Restoration of Westchester today.